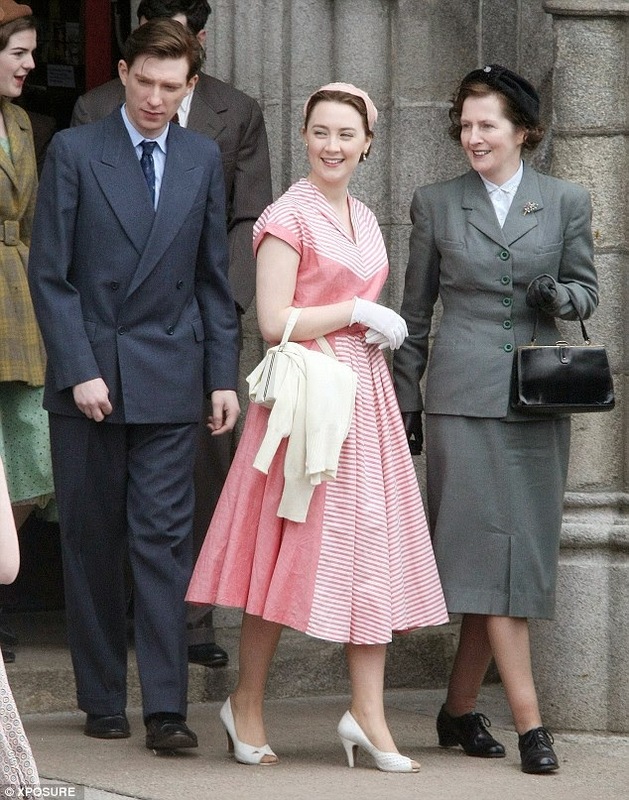 I've found some more images from Brooklyn starring Saoirse Ronan and Domhnall Gleeseon currently shooting in Ireland. The shots highlight the 1950's vintage fashion from costume designer Odile Dicks-Mireaux - see some of her stunning work for An Education and One Day here. The white and deep pink stripe dress is period perfect and who knows, maybe the one piece bathing suits will create a new trend in beach wear? Yeah, okay, maybe not. 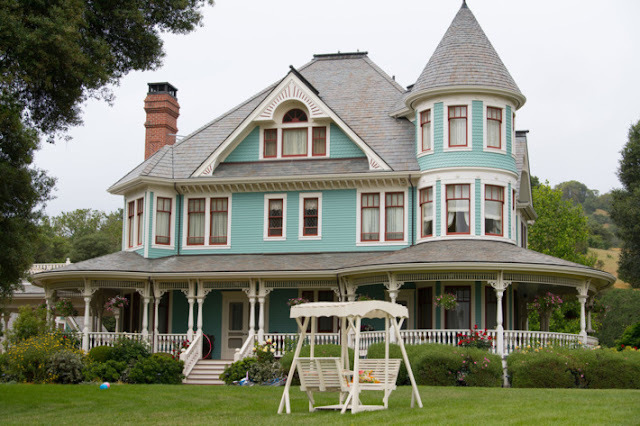 Back in March I shared some of the shooting locations for Brooklyn, including the beach at Curracloe Strand. 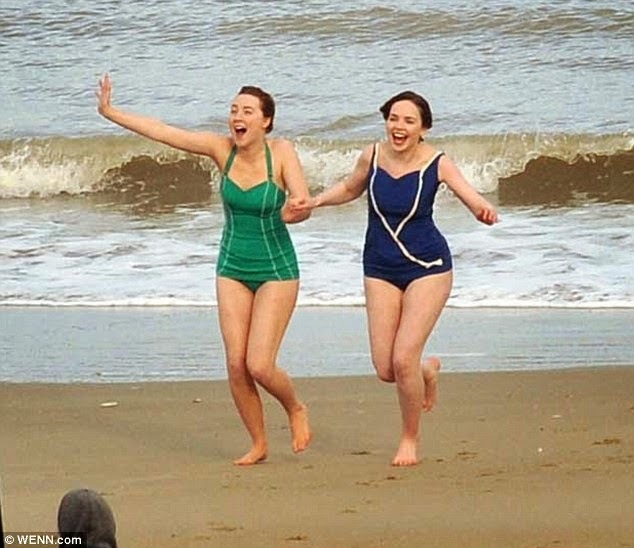 These shots from the Daily Mail show Saorise Ronan (in the 50's styled green bathing suit) running in from the water (very, very cold water) at Curracloe Beach just outside Wexford Town, with Eileen O'Higgins, Peter Campion and Domhnall Gleeson freezing his cojones off on the right. how cold must the water at Curracloe have been! Thanks Music Fan; Domhnall Gleeson was just about the best thing that came out of Anna Karenina.